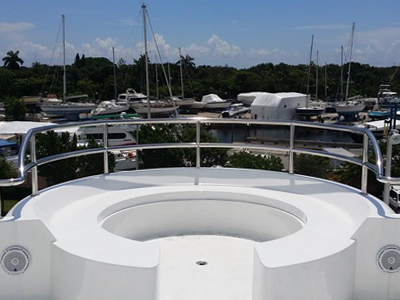 We specialize in engineering custom stainless steel installations on luxury yachts. We incorporate a variety of welding techniques to realize each one of our unique projects. 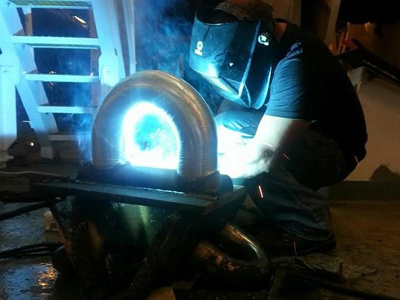 Our team of welders and fabricators will design, fabricate, and install any stainless steel addition to your vessel. The possibilities are endless. Call today for a free quote. 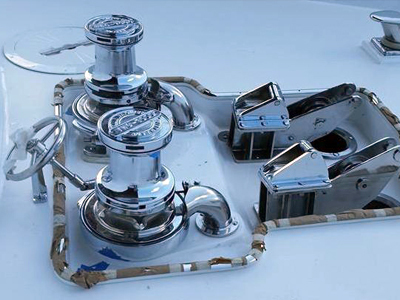 K&G Marine also provides a variety of plumbing services for your yacht. Click here to learn more about our marine plumbing services. 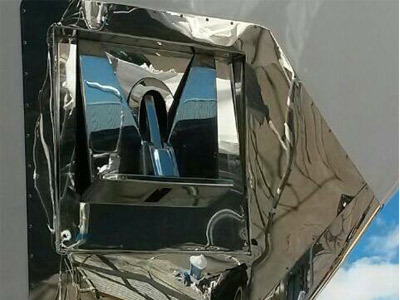 K&G Marine specializes in creating that bright and incredible polished mirror finished look to all the stainless steel. 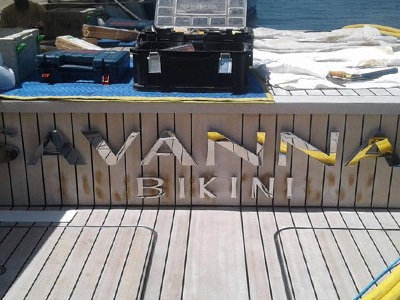 We can install any custom-made or repaired parts on to your vessel both quickly and efficiently. Need something custom? K & G Marine Welding specializes in custom marine products to enhance the appearance, function, and ergonomics of your fishing boat or luxury yacht.